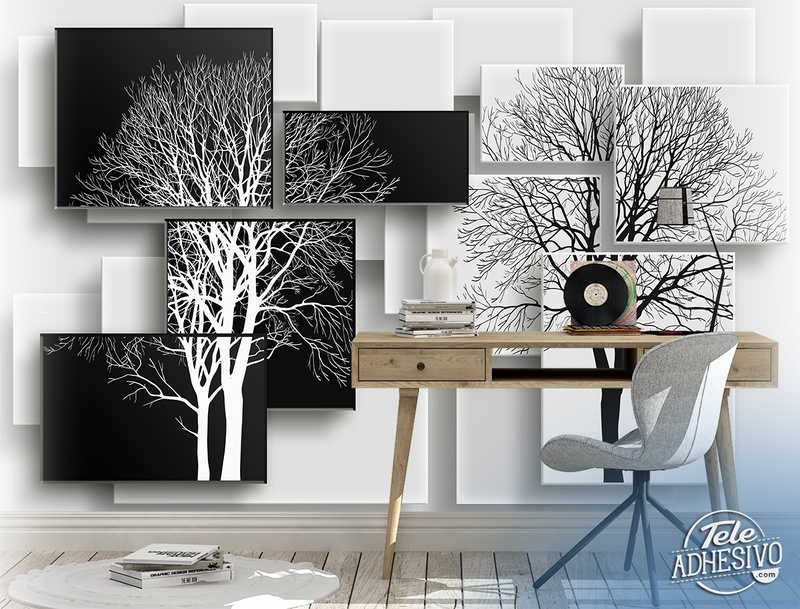 Wall mural Tree Puzzle. 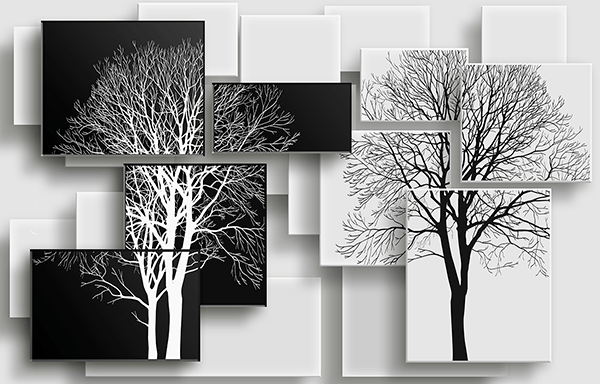 Magnificent assembly of white and black squares superimposed with the silhouette of several trees. 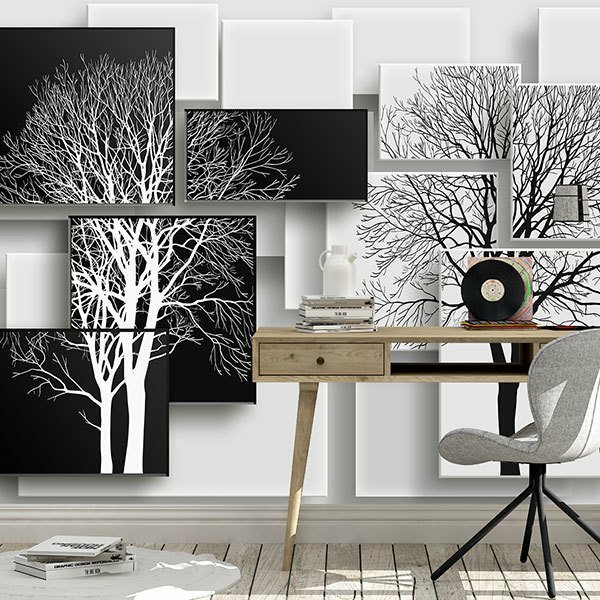 A very contrasted composition that mixes geometric and natural elements, of modern style to decorate from the living room of a house, to the bedroom or even a business.